Human beings hate change. Sure, there are changes we seek, like a new hairstyle, new clothes or a new car. But in terms of our routines and habits, we prefer most things to stay the same. We get comfortable. In a rapidly changing industry like healthcare, comfortable is dangerous. Change is unavoidable, and if you’re not changing as the industry does, you’re getting left behind. 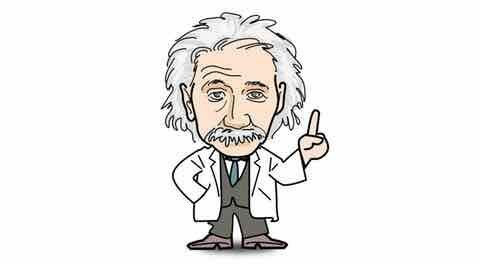 Whenever I find myself not getting the results I’m after, I turn to Albert Einstein. One of Einstein’s quotes both inspires and terrifies me. It is his definition of insanity. Medical sales professionals have two main objectives: gaining additional business and maintaining the existing customer base. Too many reps focus on one while leaving the other to chance. As a result, they either find themselves losing business or failing to grow business. Here are seven things to start now to meet both of the objectives stated above during the coming year. And yes, it means you’re probably going to have to change how you’re doing things as a medical sales representative. Clearly define the results you’re after in your territory and aim higher than your goal. For example, if your company expects a quota of 8% growth, aim for 20% growth or even something higher. Make sales a priority. Know the exact dollar volume and number of units of product or service you need to sell over the next year and include actions every day to hit these numbers. Break the numbers down into quarterly and monthly amounts. Set daily activity goals to make it happen. Assess your existing base and formulate an action plan to deliver high-level customer service to retain the existing business and access to customers. Assess threats from the competition and proactively address these threats through continued selling to existing customers—yes, you need to remind your existing customers why they are using your product because your competition is constantly reminding them why they should switch. Map out all the of the customers in your territory. Determine how to sell additional units to existing users as well as new customers. Make sure you identify and include all the key stakeholders in your plan. Focus on all customers/prospects equally, not just the high-volume ones. Your business is more secure when you have a broad base of many customers. Having all your eggs in one basket is dangerous, especially when hospitals and other providers switch suppliers without much warning..
Work harder and work smarter than your competition. If you don’t know your competition’s work habits, you’re already behind the curve. Make more calls and see more customers than they do. And deliver more value on your sales calls than your competitors—this means talking about things your customers find valuable and not just your products, i.e. relevant journal articles, best practice recommendations, specialty trends, etc. Of course, strategically position your products during conversations, but if your visit is nothing more than a sales pitch, you won’t differentiate yourself from the pack and your future access will be limited. Update your skills and sales approach. Customers have shorter attention spans and fewer reasons to meet with salespeople. If you’re not reaching and closing your targeted customers, you MUST use a different approach. If you don’t believe me, please refer to the Einstein quote above. Create a solid sales plan and refer to it DAILY. 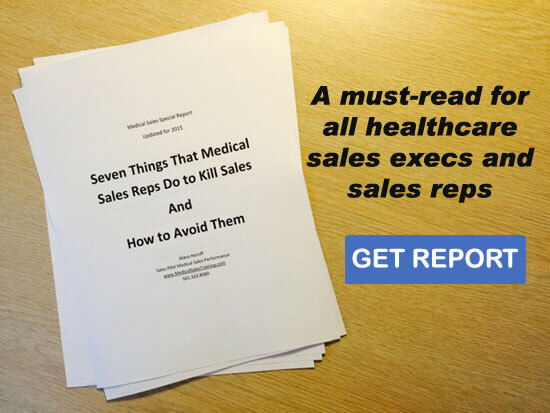 If you’re not doing this, you’re really not serious about succeeding as a medical sales professional. I always tell my audiences that the perfect competition is someone who doesn’t plan as well as you, doesn’t work as hard as you, and sells intuitively instead of strategically. Don’t be the perfect competition. Change as the industry changes and keep yourself as uncomfortable as possible. Whenever you feel the urge to delay changing the ideas and activities that aren’t delivering results, pull out a picture of Einstein. It just might help you to maintain your sanity. Medical Sales Academy is launching January 2016. This ongoing training and virtual support membership could be the turning point in your medical sales career. If you’re already receiving emails from Mace, you’ll receive information on this specialized mentorship created exclusively for medical sales professionals over the next several weeks. If you’re not receiving Mace’s strategic updates on medical sales and would like to, please sign up for updates and free special report. Also, please check out and LIKE the Medical Sales Academy Facebook page. Well said, Work smarter than hard. Track all your sales improve it by using software. Many field service management software had changed the business style.